It’s been a good month to learn about the latest strategies evolving in Internet marketing, with Search Marketing Expo (SMX) East 2014 and Pubcon Las Vegas 2014 taking place back to back in October. After liveblogging 36 key sessions throughout both conferences, two major themes emerged: the necessity of optimizing for mobile at every turn and the importance of a mission that goes far above and beyond sales. 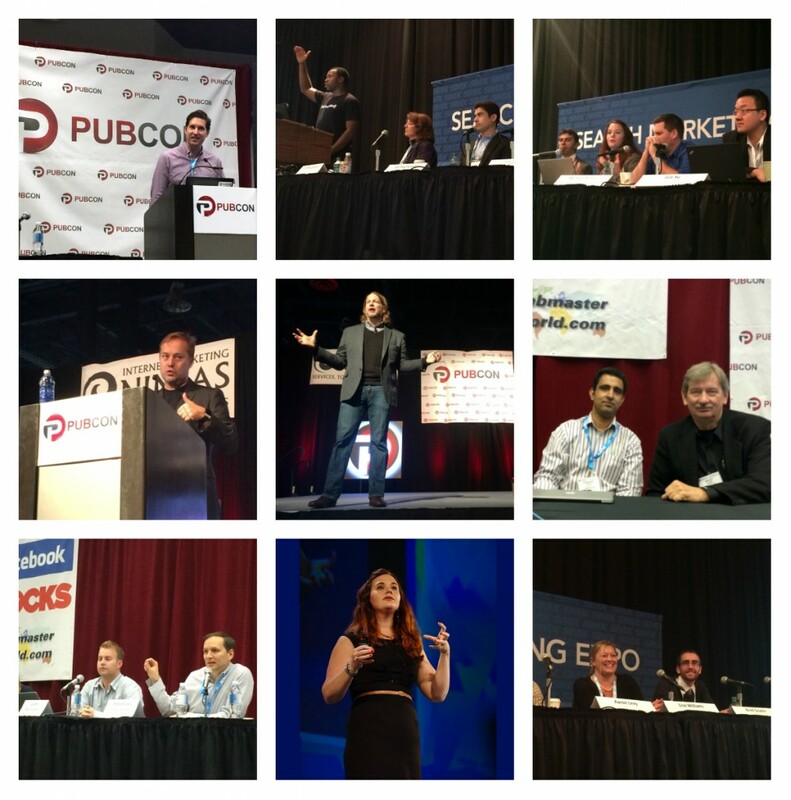 Keynote speakers at Pubcon had a lot to say on the subject of mission, vision and “youtility” of a brand. If we can take these CEOs and bestselling New York Times authors at their word, successful brands must have a mission greater than sales, possess a clearly defined vision, and think of creative ways to be useful. “Brand is the outward expression of a mission. Mission is what drives your deepest purpose. Match these well for excellence,” said Chris Brogan, CEO of Owner Media Group, as he delivered a passionate address that appealed to idealism and the bottom line simultaneously. According to Brogan, brands that are fueled by a mission — something they could write on a flag and get people to march behind — are the kind of brands that reap the greatest success. By infusing your company with a mission, your consumers will feel like they belong to something greater. Brogan asserts that if they feel like they belong to something greater they will become content creators and spread the word of a brand themselves. Brogan points to Crossfit as an example of this, noting how actively and avidly Crossfitters share Crossfit’s mission on social media. What Crossfit inspires (that ordinary gyms don’t) is that sense of belonging — and that allows them to offer their services at a premium. Angel investor Jason Calacanis examined the global impact that mission-minded brands can have. Calacanis discussed six major world problems (cancer, climate change, energy crisis, hunger, unemployment, and repression) and showcased startups that are finding solutions. His final thought? That the work entrepreneurs, engineers and the tech elite perform is the work that lifts the world up. Calacanis believes that even bigger things are coming. Marketing that people cherish means abandoning a “me, me, me” attitude. It’s not about touting your brand, but about knowing your audience and supplying them with content (apps, articles, social presence) that will help them. For example, Hilton has a Twitter account called @HiltonSuggests. The account’s entire mission is to find traveler’s looking for suggestions or tips and help them. A look at their Twitter feed shows them talking food, attractions and sights; there’s no call to stay at a Hilton. This kind of youtility, though, leads to something priceless: brand recall and top-of-mind recall. “Great Youtility can transcend the transaction. Give yourself permission to make the story bigger – you don’t just have to talk about your own stuff. You can talk about other things that are relevant and useful,” said Baer. A natural consequence of focusing on the “you” is something all brands are hungry for: loyalty. Joanna Lord, vice president of marketing at Porch.com, echoed Baer’s sentiments at SMX East, using Starbucks as an example. Lord explained that we’re in a place today where businesses need to be just as loyal to customers as they want customers’ loyalty. Look at the messaging on the Starbucks website. It’s hyper-focused on words like “you” and “we” and “our” and “us,” punctuated with three to four word phrases. Marketers are empowered when every morning they can wake up and know they’ve delivered a message to the world. Each type of mobile site implementation comes with its own set of unique pros and cons. Knowing, however, that Google’s preferred method is responsive design (as opposed to separate sites or dynamic serving), digital marketers tend to advocate responsive design, as well. But not the panelists in “What SEOs Should Be Doing with Mobile” at SMX East. Cindy Krum (CEO of MobileMoxie) asserted digital marketers shouldn’t feel bound to one type of design; each page should be taken into account on its own. “You don’t have to commit 100% to one mobile type. Part of your site can have one architecture and other pages can have a different architecture. If it provides a better user experience, then you should do it. Google is not against this if it’s warranted,” Krum said. Gary Illyes, Webmaster Trends Analyst at Google, agreed. What Google cares about most, he said, is making the user happy. He also emphasized that responsive design does not lead to ranking boost, and a lack of responsive design does not lead to penalty. 47% of mobile users will explore other brands if there is no phone number associate with the business’ search results (Google Mobile Playbook 2013). The average American consumer spends 34 hours a month browsing the Internet on a mobile device (source: Direct Marketing News). 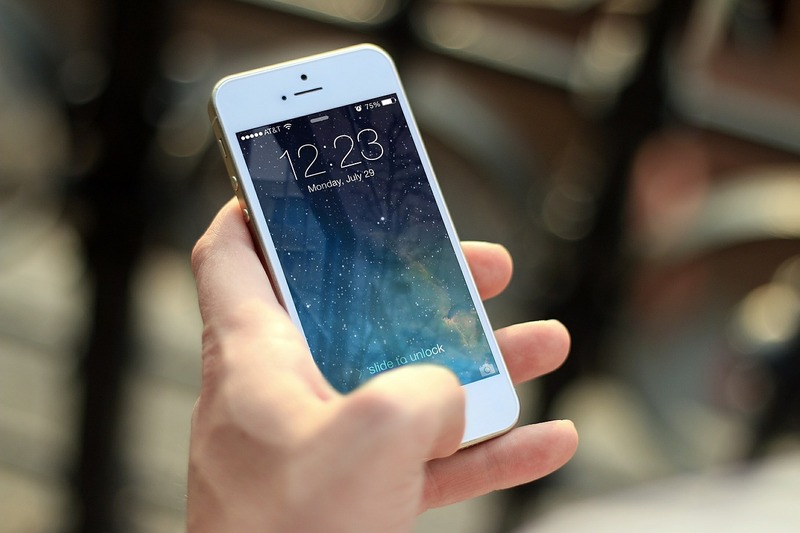 By 2018, mobile search will drive 73 billion inbound calls to advertisers (source: BIA/Kelsey). Given these statistics, it seems more important than ever to make sure people viewing your ads can easily call your business. In Pubcon’s Pinterest and Other Missed Social SEO Opportunities, Cynthia Johnson, director of social media marketing at RankLab, pointed out that 75 percent of users access Pinterest from a mobile device – it’s the digital marketer’s job to optimize accordingly. Practically, this means first and foremost have a mobile-ready site – there’s no point in sending users from Pinterest to a site that they’re going to bounce back from. This also means limiting the characters in your pin description to those that can be seen on a mobile device (100 characters on iOS/125 characters on Android). It’s also important to consider the order of your boards. When you go to a brand/pinner’s page on desktop, the top eight boards are visible above the fold – on a phone, only the top four boards are visible above the fold. This means, then, that you need to strategically place your best four boards in the top four slots, rather than thinking you have eight to work with. In addition to mobile optimization and mission-minded marketing, there was an abundance of new and insightful information in all arenas of digital marketing. Virginia Nussey and I liveblogged 36 key sessions throughout the conference. 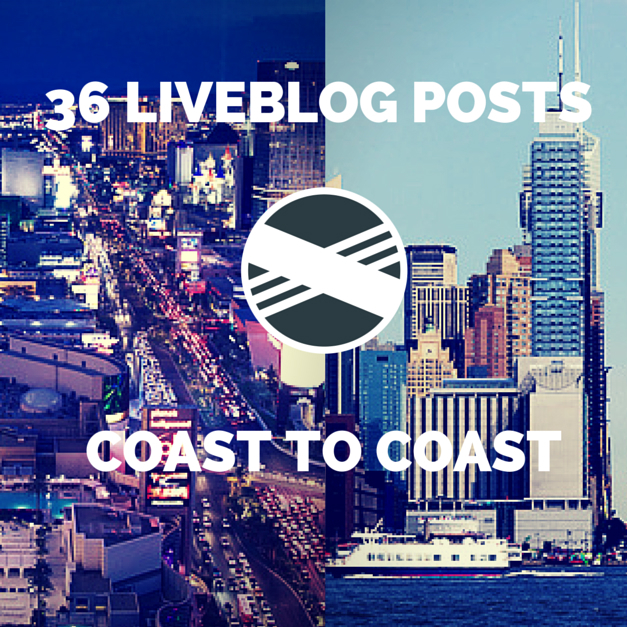 Find an easy-to-read overview of all of them in 36 Coast-to-Coast Liveblog Posts Covering Pubcon Las Vegas & SMX East 2014 and click through to the topics that interest you most. You’ll find coverage of sessions featuring the latest SEO, SEM, SMM and content marketing tactics. Mobile phones have completely changed the game in digital marketing.